Are you looking for a dustless hardwood floor contractor in Rockland County, NY? The flooring contractors at Majestic Floors provide high quality hardwood floor services. 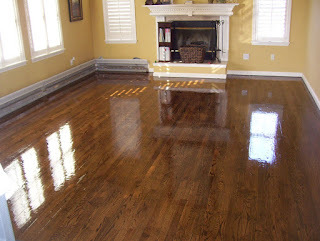 Our hardwood floor experts have the experience and skills to keep your wood floors looking beautiful. Your hardwood floors deserve professional care, so our dustless hardwood floor services removes the mess that typical sanding jobs create. At Majestic Floors, our dustless hardwood floor services can rejuvenate your wood floors, giving them a refreshing appearance that lightens rooms and creates a more welcoming atmosphere. With years of experience, our professional staff promptly enlivens your hardwood floor, leaving it without cracks, creases, scuffs, or debris. Issues can come up on your hardwood floor at any time. Our professional wood floor technicians are knowledgeable in various types of wood, employing methods that leave your floors revitalized: the cracks, scuffs, and debris removed. With our dustless wood floor sanding, we are 99.9% efficient at capturing dust particles as tiny as .5 microns! This means little cleanup after we're done, you can begin enjoying your updated floor immediately! Before we start your hardwood flooring project, we prepare your house by removing furniture and other items that might obstruct the project. Our hardwood floor contractors also closely inspect your floors to ensure there are no exposed nails or staples before the sanding process. For more information about a dustless hardwood floor contractor in Rockland County, NY, call Majestic Floors today. 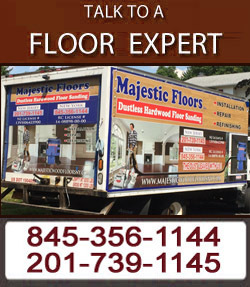 Majestic Floors- your trusted dustless hardwood floor contractor in Rockland County, NY!